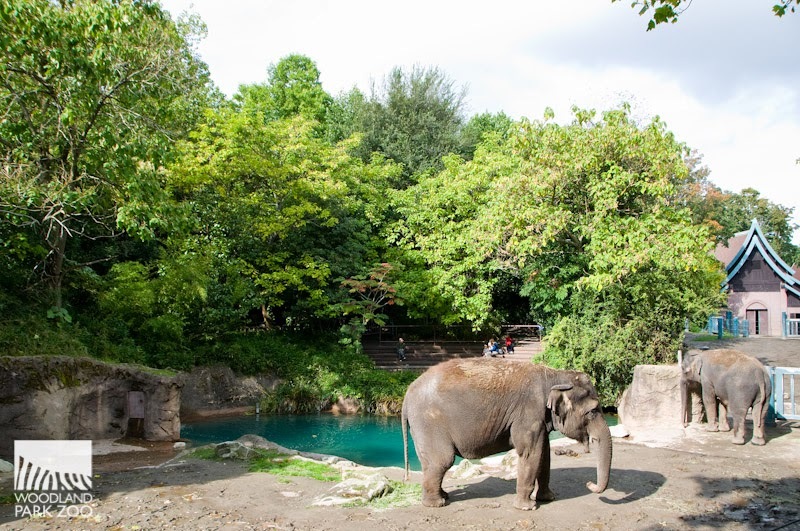 We have news we want to share: today, Woodland Park Zoo announced we will phase out our on-site elephant program and begin plans to relocate together our Asian elephants, Bamboo and Chai, to another Association of Zoos and Aquariums (AZA) accredited institution. Above all, we are committed to putting the welfare of Bamboo and Chai first. You may recall the Elephant Task Force—a panel of local community representatives and internationally-distinguished scientists and animal care professionals—conducted a critical and thorough external review of the zoo’s elephant program in 2013. Following that, we announced earlier this year a strategic direction to strengthen our Asian elephant program, which included an effort to expand the herd to enhance the social welfare of the animals. After several months of working to implement the recommendations of the Elephant Task Force, we have found that adding to the herd of our two aging elephants is not realistic in the foreseeable future. Yet it remains important that Bamboo and Chai benefit from living with a social, multi-animal herd in a healthy environment. We believe this can be accomplished best by relocating them to another AZA accredited facility that is held to exemplary standards of care. 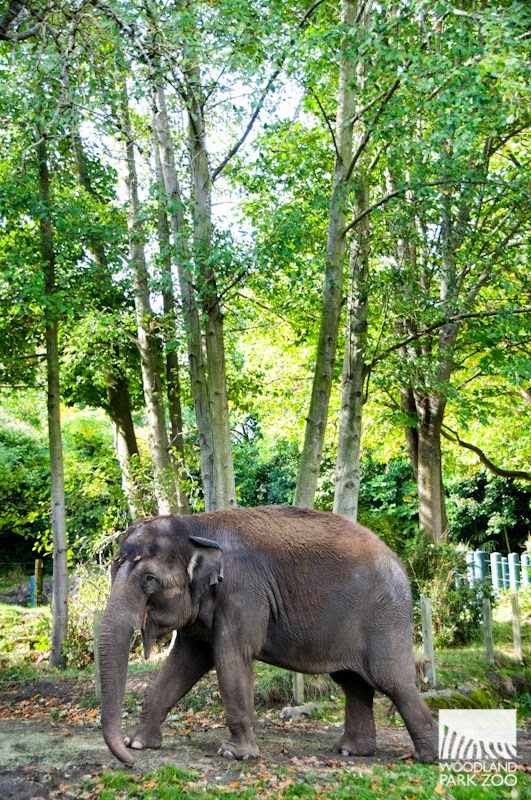 We will find a new home for 47-year-old Bamboo and 35-year-old Chai, with the expectation to move them in 2015. We will ensure Bamboo and Chai are relocated together to an AZA facility that shares our commitment to animal health, conservation, and education. Bamboo and Chai will touch the hearts and open the minds of a new community, who will be as moved and inspired by their majesty as we have been. They will forever be a part of our family, and we will continue to follow them at their new home. 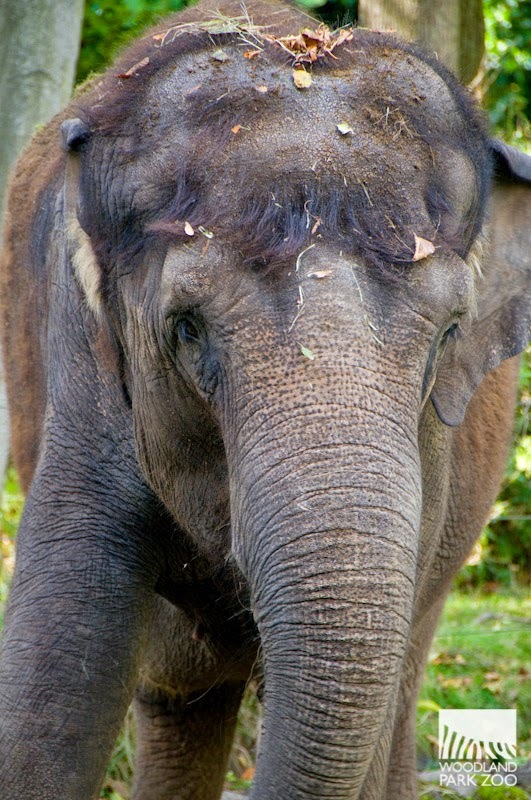 Woodland Park Zoo partners with Hutan Asian Elephant Conservation project to protect wild Asian elephants. Photo courtesy of Hutan Asian Elephant Conservation. Though our on-site program will be phased out, we remain committed to saving elephants in the wild. 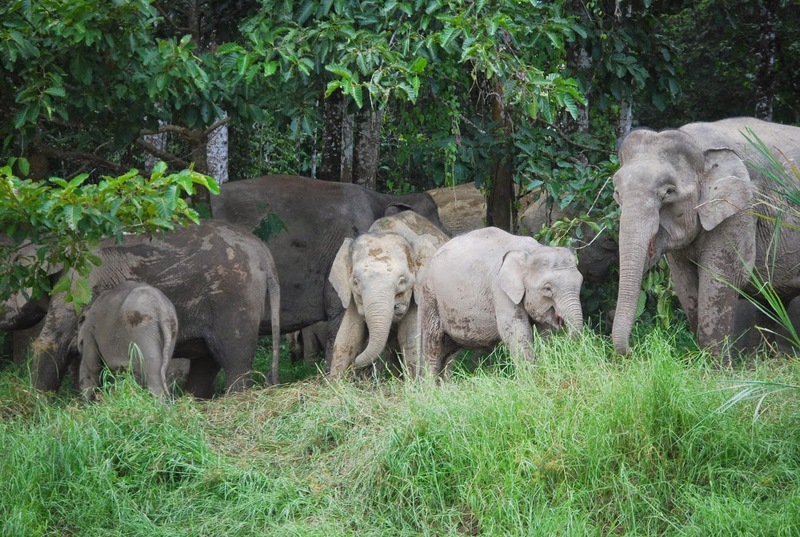 We will continue to make a positive difference for Asian and African elephants with our conservation partners in Borneo and Tanzania, and the 96 Elephants campaign to help end the ivory trade. The U.S. is one of the largest ivory markets in the world, but we can make a difference. Through the 96 Elephants campaign, Woodland Park Zoo has asked the community to join in an effort to end the ivory trade in Washington state. Photo: Julie Larsen Maher/Wildlife Conservation Society. This is a big change on the horizon for us. But do know that it is part of our regular state of operation when planning for the care of our animals to be always looking at what’s best for each individual, the population, and the species. We do this evaluation in collaboration with other conservation zoos and experts. Each year, we review our animal programs and make decisions to continue, phase out or introduce new animals. In 2012, after much analysis and collaboration, we phased out our African wild dog and Malayan sun bear exhibits. On the other hand, there are new and exciting additions on the way. In May 2015, Malayan tigers will be introduced to a new exhibit. The state-of-the-art complex will empower and inspire visitors with up-close animal encounters, hands-on learning, and links to meaningful conservation actions visitors can take to build a better future for wildlife. At a living institution like ours, change is a reality, but one thing remains constant—our commitment to our animals and to you, our dedicated community, which we have served for 115 years. We know you have questions, and as the work unfolds, we’ll share updates when the answers come into focus. You can reach out to us at elephants@zoo.org, and we invite you to stay tuned here and http://www.zoo.org/elephantnews for news over the coming months. I'm sad to read this news on my daughter's fourth birthday; elephants are her favorite at the zoo. But if it's what's best for Chai and Bamboo, then we wish them all the best at their new homes. And hope that the zoo can bring back elephants in the future. Thank you for this enlightened decision and for your commitment to the 96 Elephants campaign. We encourage you to send Bamboo and Chai to The Elephant Sanctuary in TN or the PAWS Sanctuary in CA where they will be well cared for in a large elephant community with ample room to roam. We wish them well...cheers! I think what you’re doing is great. Woodland Park Zoo is making a great choice by sending Chai and Bamboo to another zoo rather than bringing in another asian elephant. After hearing both sides on whether Chai and Bamboo should be sent to another zoo with other elephants or be sent to a sanctuary, my opinion on this is that Chai and Bamboo would be better at a sanctuary. A sanctuary would give Chai and Bamboo an environment closest to the wild. PAWS would be the best and closest location. Since there’s the unlikely chance that Chai and Bamboo will be sent to a sanctuary, I believe these zoos are the best three candidates: Los Angeles Zoo, Denver Zoo, or San Diego Zoo. All three are close and are (I think) accredited by AZA. In the end what you’re doing is great and I hope you chose one of my three suggestions. I have to ask. What will move in the elephant exhibit after Chai and Bamboo move? Maybe Indian rhinos? Michael, thank you for your thoughtful comments. To answer your question about how we will use the exhibit space in the future: we do not have any plans just yet. We will take a look at the exhibit, its operations and programming and do some long-term planning in that area. We anticipate focusing on endangered Southeast Asian animals. 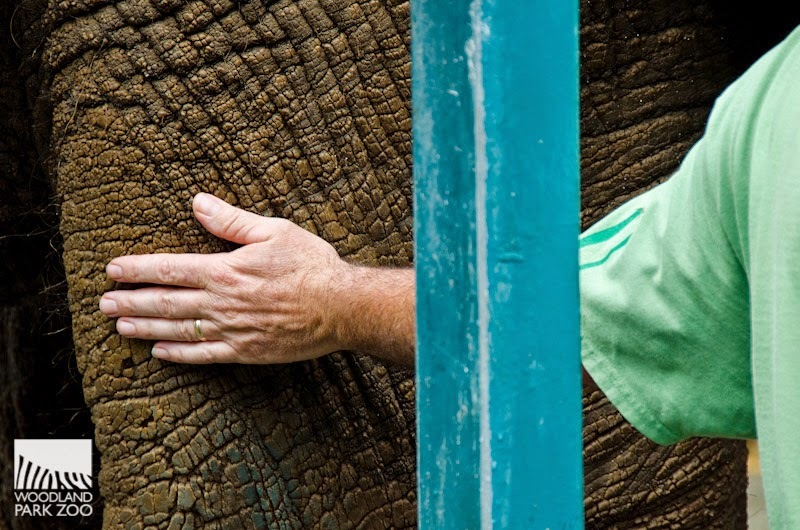 I feel terribly for the dedicated caretakers and staff at the zoo who must first deal with the loss of the elephants, and then with the unhelpful, unhealthy reaction of some of the protesters. Good luck to you all as you make this transition.